To say that I was excited is an understatement. Look at how small they all are. As this is my last official post as a DCWV Design Team Member I think it’s appropriate to end with this layout of Hartly from last week. That little girl with the Wubba hanging from her mouth is now a Nursery School graduate and soon to be a Kindergartener. And those two teens are now driving and looking at colleges. Time has simply flown by. 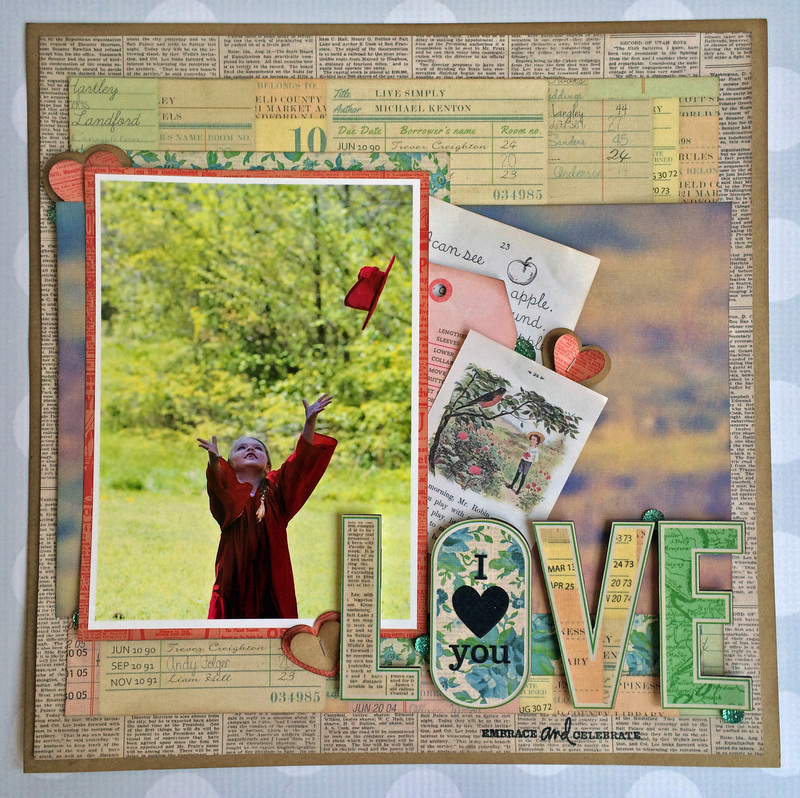 I used one of my all time favorite DCWV La Boutique Vintage Stack to create my layout. I just love the colors, prints and all around feel of this stack. If you look close enough in the upper left hand corner you will see the name Hartley is even on the patterned paper. 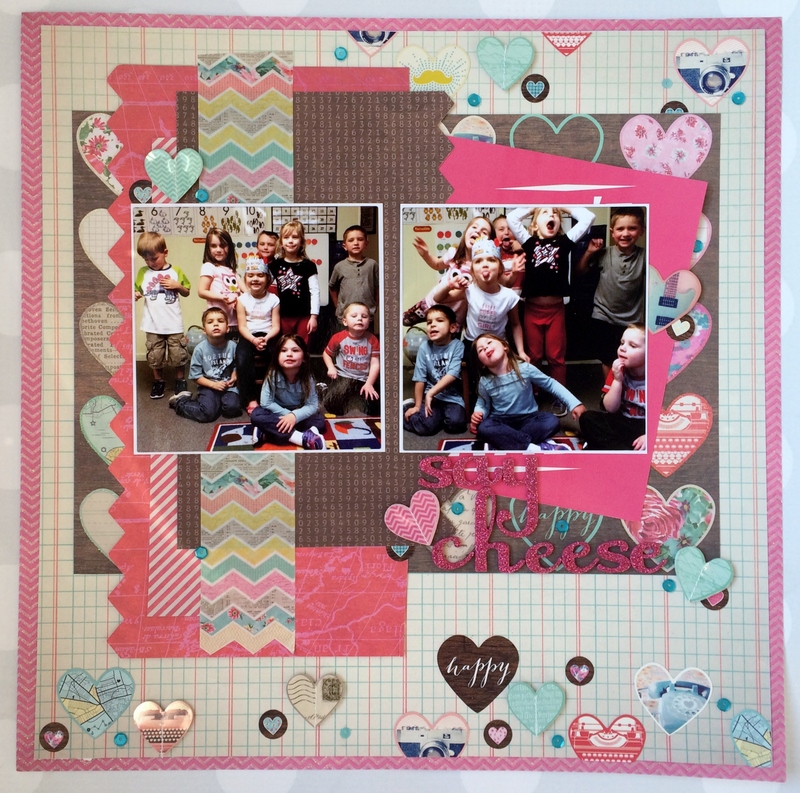 Thank you to DCWV for allowing me to create with your fabulous products. It has been my pleasure and privilege to work with and get to know such talented ladies over the past three years. This experience is something I will love, embrace and celebrate always. What A Happy 2015 NSD!!! I don’t know about you, but I had FUN!! I call that a good time. 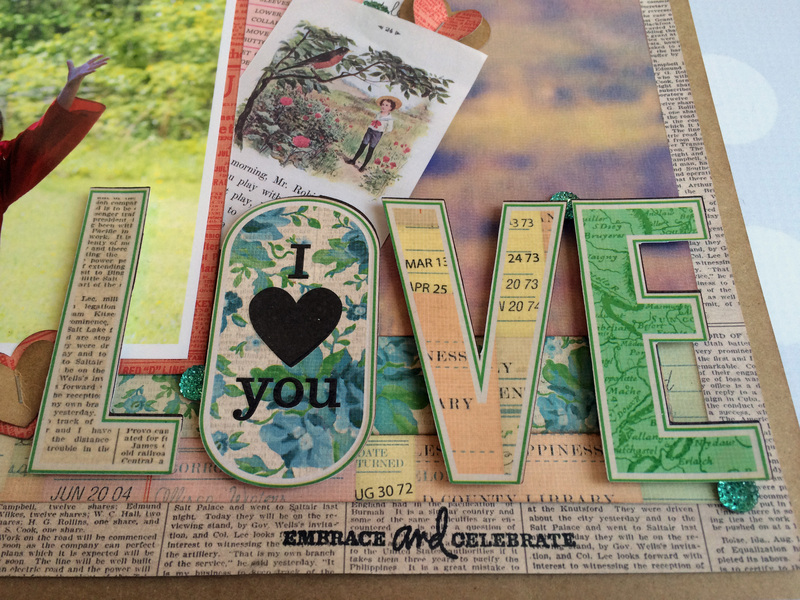 And now for the winner of my Crafting With Negative Nelly: Use the Negative Portion of Your Cut Challenge. Email me with your information including your email and I’ll get your prize on the way to you. 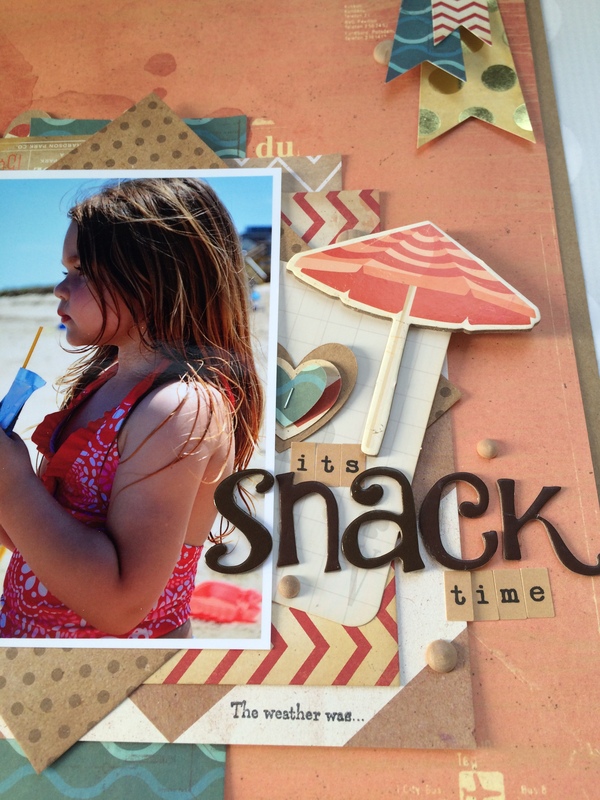 Remember when I said this layout was for the 2015 NSD WWW Snackdown Challenge? Well, it seems I got my layouts and challenges all mixed up. 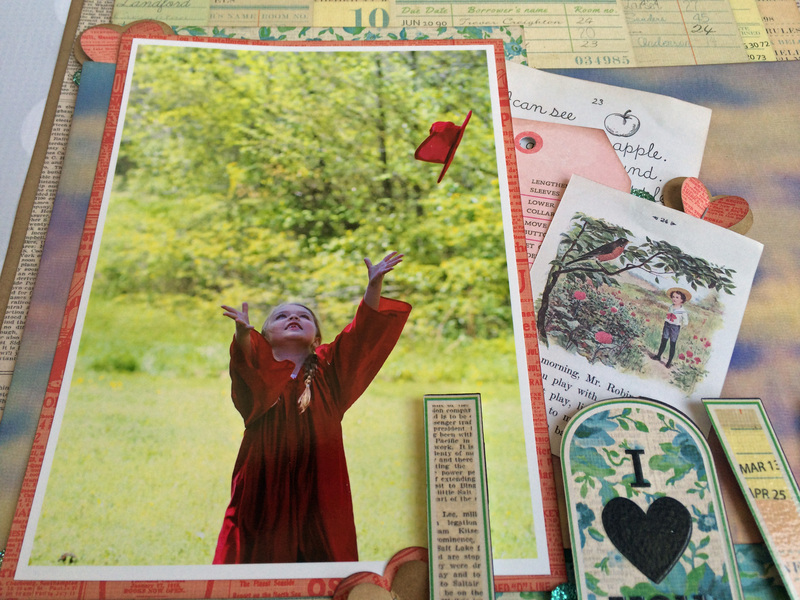 That one was for the All Decked Out Challenge: Create a project with a beach or nautical element to it. And what can I say about the face Ashlyn is making as Holden steals a bite of her Mickey Bar? And she is still fussing about it. The best part is there was a cooler full of free Mickey Bars just a few feet away at the Mickey’s Backyard BBQ. But, I guess they just wouldn’t have tasted the same. 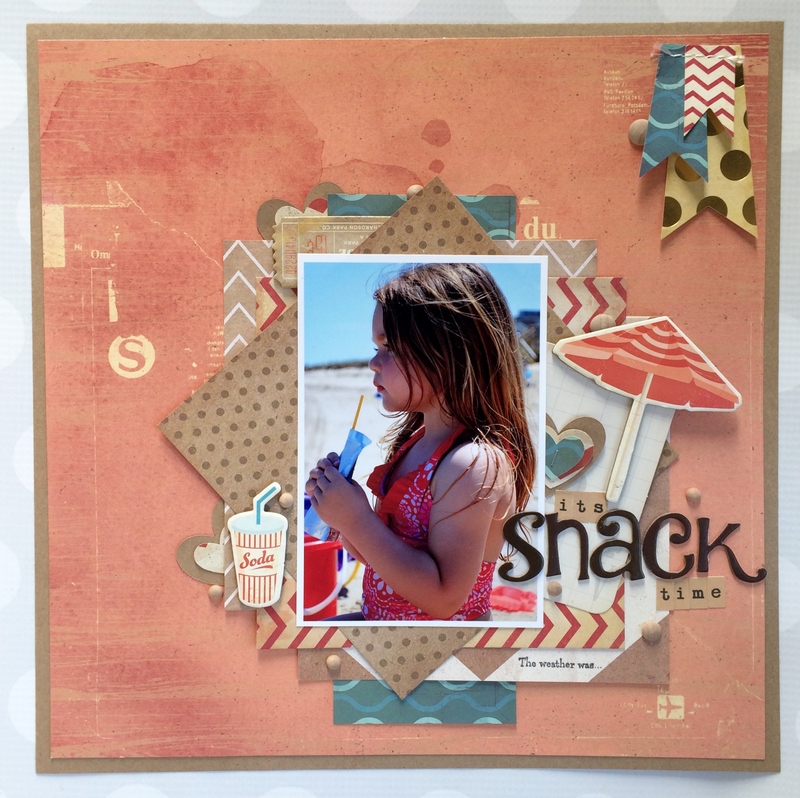 Or maybe crumble is the better word for the Cricut Circle 2015 NSD WWW Snackdown Challenge hosted by Jenny Dennis. 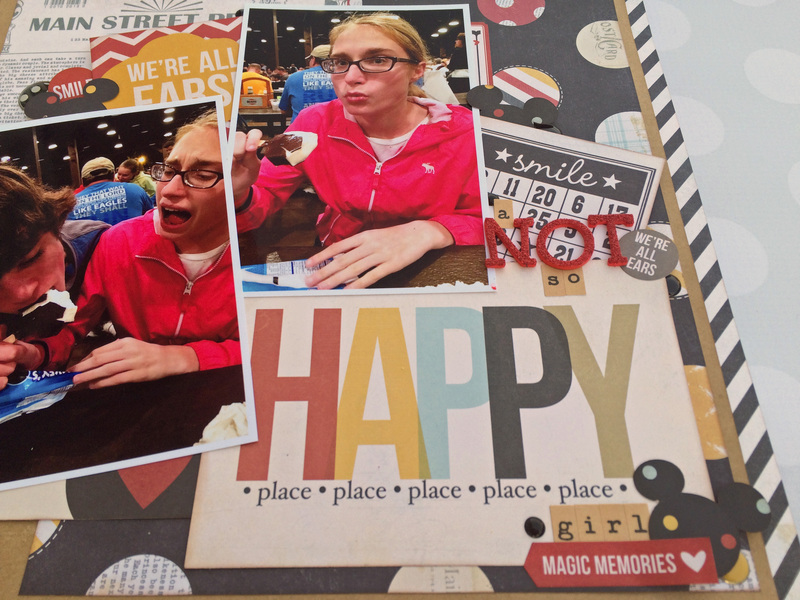 Her challenge is to create any type of project about…..FOOD! I love it, especially since our family even plans vacations around where and when we are going to eat. I chose an adorable picture of Hartly during her snack time at the beach. This was way back when she was so scared of the water she wouldn’t get anywhere near it. 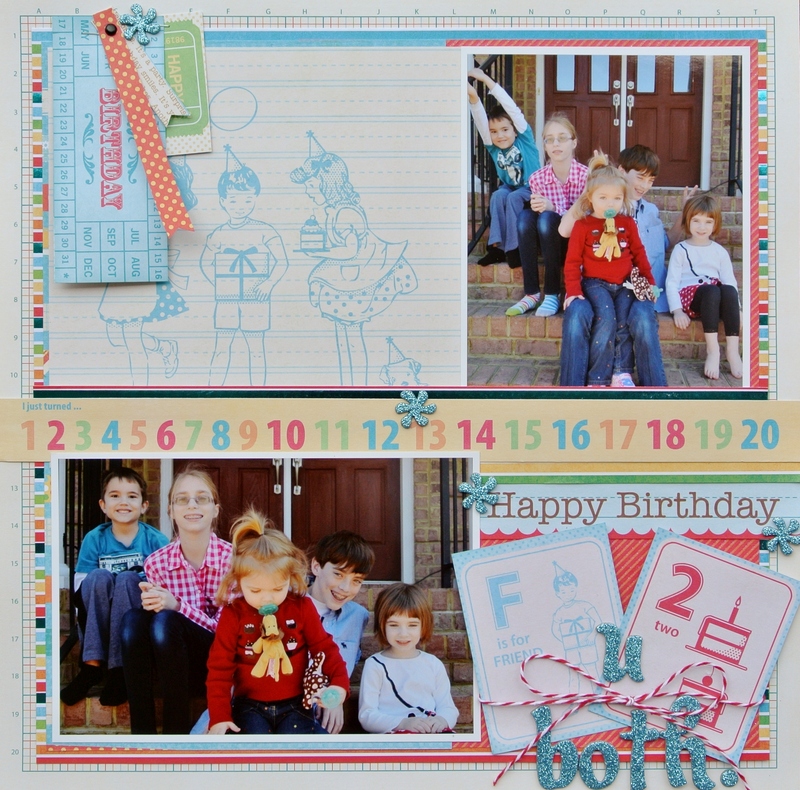 I used Crate Paper’s The Pier collection and simply had fun layering the various prints and embellishments. I also added some Teresa Collins Wood Dots for a bit of dimension. This picture makes me giggle, because now we can’t keep this girl out of the water. Seriously, this child went swimming in the ocean THIS past weekend when the water temp was below 70. I love this picture of Hartly and her Nursery School Class!! 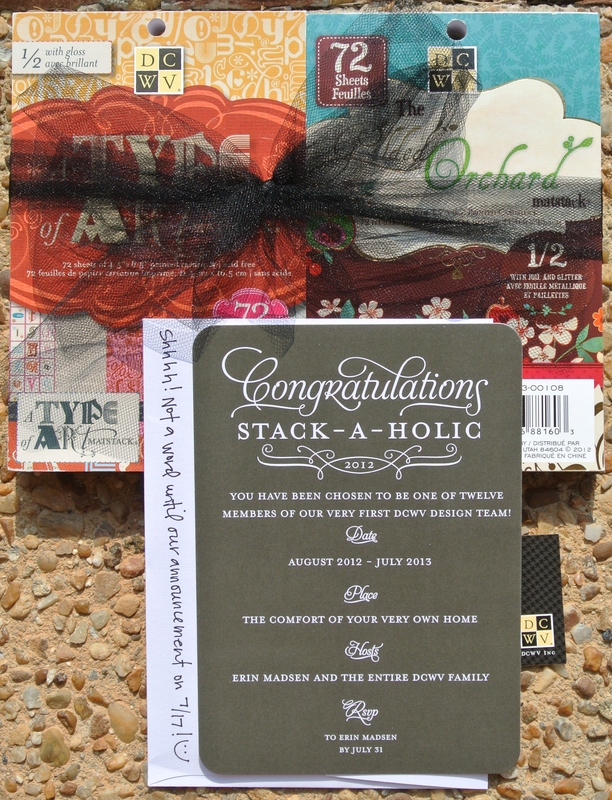 I only needed a reason to use it and Jenny’s NSD 2015 Challenge: Let’s Get Sketchy was the perfect one. 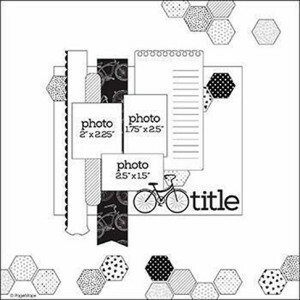 To mimic the picture I used only black and white patterned papers for my background. 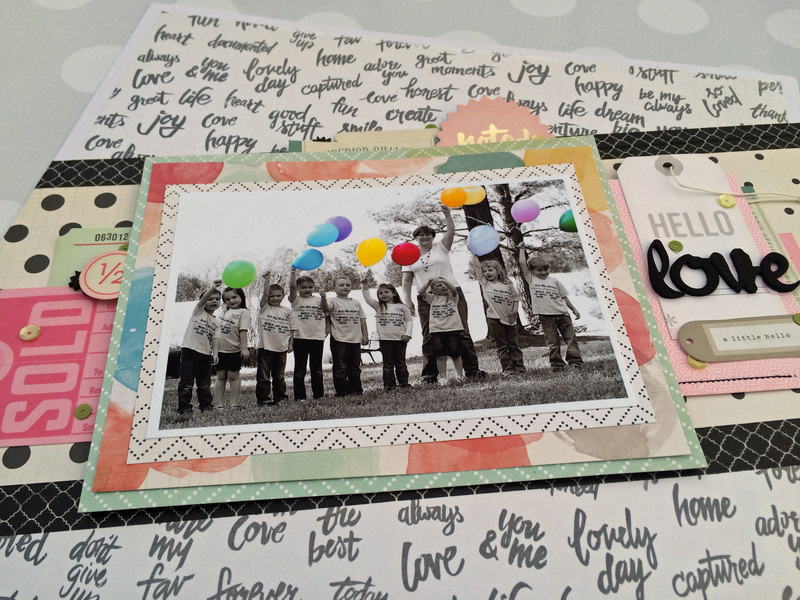 My photo mats and embellishments were my pops of color much like the balloons. I love the diagonal feature of this sketch, but I would be too embarrassed to tell you just how long it took me to achieve it. In case you couldn’t spot Miss Hartly, she’d want me to tell you that she’s holding a purple balloon. And if that wasn’t enough to pick her out, she’d make sure you knew that she is the tallest in her class. Apparently that’s a very big deal to her. Oh, to be five years old again. 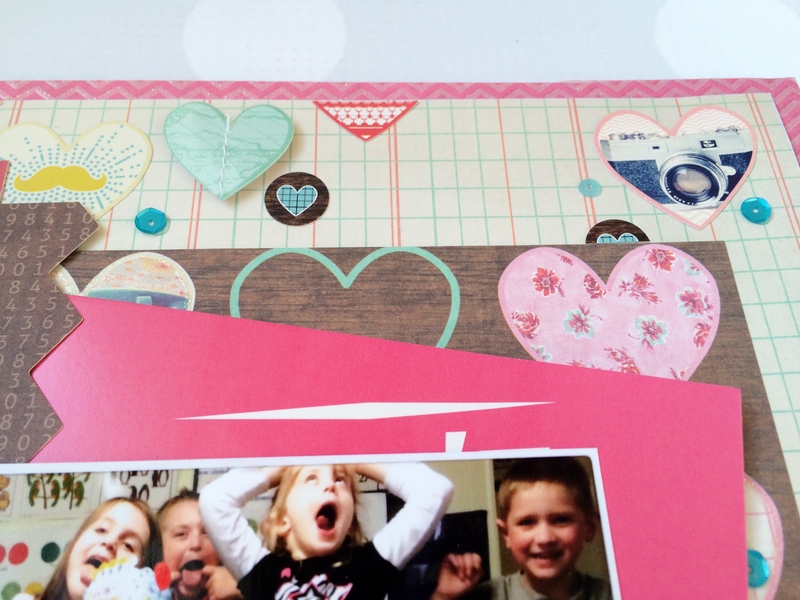 There is still time to join in most of the Cricut Circle NSD 2015 challenges, so make sure you head to Jenny’s blog and see the original sketch and her take on it. One of my favorite NSD challenges has and always will be the Timed Challenge. I’m not sure why, maybe it’s because if given enough warning I get one totally uninterrupted hour to craft from the family. He he. This year the NSD 2015 Challenge: Spring Into Action hosted by Jenny Dennis was no exception. Not only did we have just one hour to create our project, it also had to have a Spring element to it. 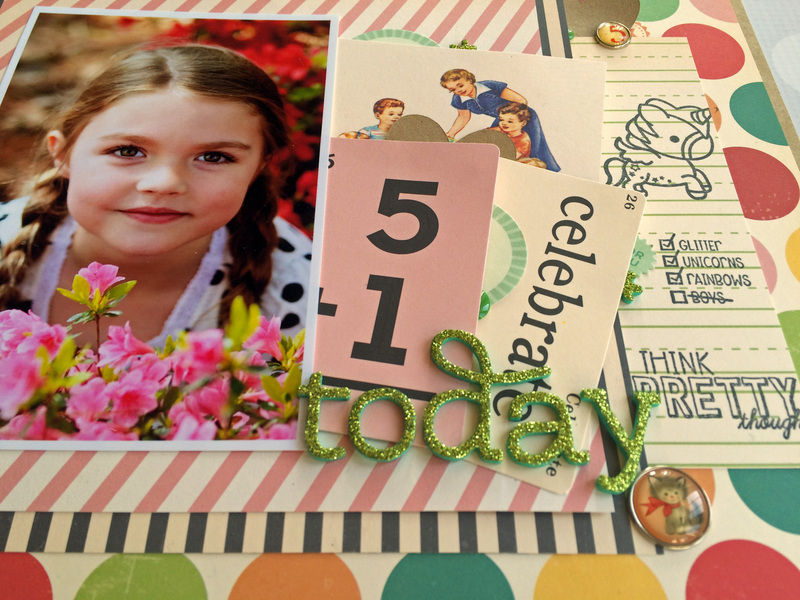 My original plan was to make a cute and simple Spring card; however, I froze when it was time to spring into action. After about five minutes of just sitting at my desk looking at stamps I decided to grab one of Hartly’s school pictures with the most beautiful bushes blooming all around her. Spring school picture…spring flowers…it works, right? 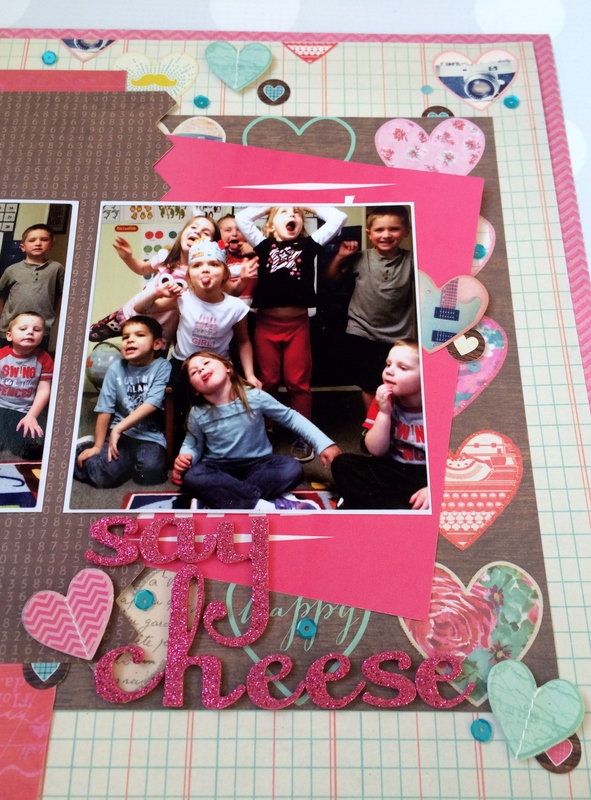 And then it was simply a matter of finding coordinating papers and embellishments. Which you can see I had no problem with once I opened my October Afternoon Cake Walk stash. I even grabbed that Unicorn stamp set that I was thinking I would use earlier and stamped away. I thought the “think pretty thoughts went” perfectly with the feel of my layout. Anyway, not too bad for a one hour challenge I think. Do you know how hard it is to get nine children to pose for one little picture? Sigh. Unless you tell them they can make a crazy face!! Then you just need to be ready to snap away. 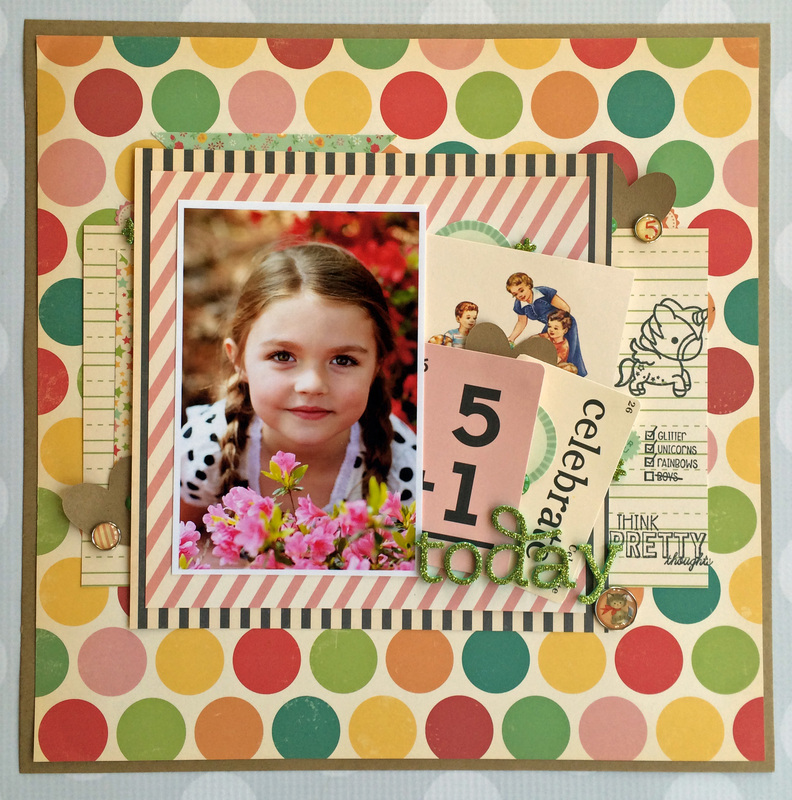 I used the new layout sketch from DCWV Stack-a-Holic Sketch Challenge for May. I dug out my DCWV Vintage Collector stash and simply had fun putting this layout together. Although I didn’t have quite as much fun as these kids were having. He he. I hope you’ll find time to join in this month’s challenge.